The ESA office in Brussels wanted a reliable audio conference system for video conferences. Their requirement - No participant must be left out from the conference and the audio quality must not be compromised. "The sound quality is excellent and confirmed by our engineers at the other end of the line and overall technology with the best possible look & feel"
Fewer cables on the conference table, cleaner sound for all video conference participants combined with user-friendly usability: The European Space Agency (ESA) chose the TeamConnect Wireless portable solution for larger video and audio conferences at its Brussels office. This Sennheiser product has put an end to ongoing microphone problems. ESA in Brussels knows of one more advantage gained by this wireless system: the satellites aren't hidden under piles of paper. Profile The European Space Agency is an intergovernmental organization of 22 member states, dedicated to the exploration of space. Established in 1975, ESA has a worldwide staff of about 1.900. They are most notable for their Mars Express and Venus Express missions. If there's one thing space technicians hate, it's clutter. This is as true on board a space station as it is on a conference table. "Cables, cables, everywhere - we just don't like cables," - Jérôme Béquignon knows what a conference table can look like when all participants open up their laptops and have to pass a wired microphone from person to person. Sheets of paper everywhere: a small microphone on a stand is soon lost under a sea of documents, sometimes accompanied by the sound of rustling paper but more often, you simply can't understand a single word. There was one particular problem which the ESA simply could not solve in its Brussels office: a single microphone is insufficient for a video/audio conference system. If the microphone isn't positioned directly in front of the speaker, the sound quality is poor, communications are impaired. And handing the microphone around is troublesome. 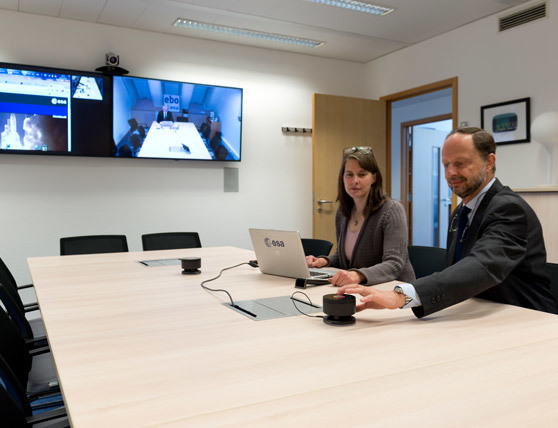 For Jérôme Béquignon, Senior Programme Manager in the ESA Brussels office, the situation was obvious: the conference room needed a new audio system to handle virtual meetings with many participants. 22 member countries, 1,900 employees, a budget of 5.2 billion Euro - Europe's space agency is distributed across several locations in Europe and is also responsible for two programmes for the European Commission: Galileo and Copernicus. So the Brussels office seeks to maintain good contacts with its partner, the European Commission. The ESA has two meeting rooms in Brussels which are frequently the venue for meetings to allow exchanges between EU officials and ESA programme directors, between ESA HQ in Paris or ESA production sites in Italy and the Netherlands. On these occasions, up to 10 participants discuss matters in video conferences - either in English or French. Video conferences are becoming more important, points out Jérôme Béquignon, because they are an excellent substitute for expensive, time consuming business trips. Some time ago, the ESA installed an IP-based video conference system from Polycom in the largest of its two Brussels conference rooms. While it functions well, the quality of audio transmissions from a conference table in Brussels to the outside world was often lacking - causing engineers at the other end of the conference to complain. The only way to guarantee adequate sound was to place the table microphone directly in front of the speaker. ESA manager Béquignon was impatient for a solution and asked around various Brussels service providers. 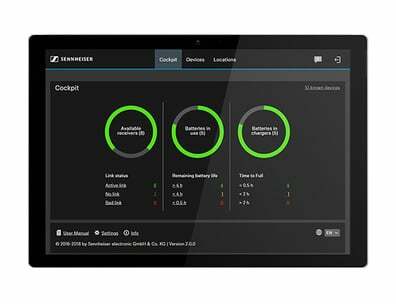 AV specialist Avadis proposed the new Sennheiser TeamConnect Wireless in the version with four satellites and a desktop charging station. Béquignon reports that he was himself completely convinced and the connection of the state-of-the-art wireless conference system to the existing Polycom system was smooth and easy. "The sound quality is excellent"
Nowadays, when a meeting is planned in the Brussels ESA conference room the participants only take that number of satellites out of the case they need and distribute them around the table. The satellites don't need to be moved, they pick up the input signal from any position and transmit it to the base station. The "sound quality is excellent and confirmed by our engineers at the other end of the line," says Jérôme Béquignon. The loudspeaker function offered by the TeamConnect Wireless satellites is not used by ESA Brussels, instead they use new, discrete loudspeakers next to the wall-mounted screens. 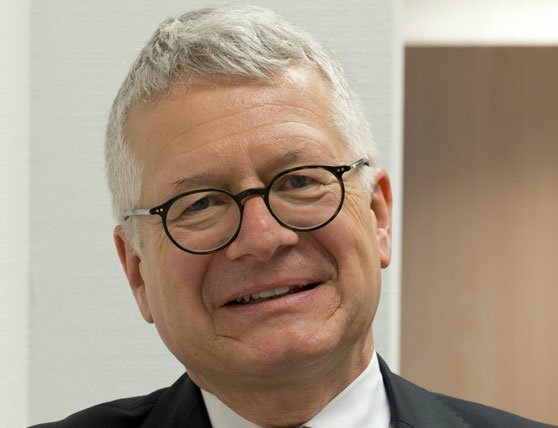 One of the options Mr Béquignon likes in particular is the number of connection choices the new conference system offers. The current configuration has the master unit connected to the existing system with a cable, although in theory one could also use smartphones connected via Bluetooth. As Béquignon says: "There is a broad spectrum of connectivity." Last but not least, the staff also appreciate the system, which is also due to its easy handling and the very attractive design, Béquignon says. Simply pressing the central button mutes the microphone. The blue light at its base indicates system status, the volume has a touch control - which in Mr. Béquinon's opinion is all "technology with the best possible look&feel." He is happy because his office now boasts leading edge technology for its video conferences despite a limited budget: an impression shared by ESA directors from HQ in Paris when in Brussels for meetings. Several have commented on the attractive conference system, and even the partner from the EU Commission have praised the conference system when visiting the ESA office on the Avenue de Cortenberg in Brussels - "because it works so well," says Béquignon. He similarly likes the long battery life. They last for up to eight hours. After a ESA-meeting - the satellites are simply returned to their trays for automatic recharge. Another aspect also pleases the space experts in Brussels: in the past they often had to literally search for the microphone because it was hidden under a pile of paper. Sennheiser's new satellites make that issue a thing of the past. The build height of 76 millimetres effectively prevents that. ESA manager Béquignon: the satellites are just too high and can't ever be covered by stacks of paper. The main result: less clutter on conference tables in ESA's Brussels office.